The deck of cards can be downloaded — for free — from RealScout's site. Are “passive-aggressive hashtags” or “Alex Perriello‘s morning routine” the future of real estate? And what would you rather give your clients for a closing gift: Leigh Brown‘s potty mouth or Brad Inman’s priceless collection of bolos? These are the questions that Andrew Flachner and his RealScout team mulled over during a company happy hour as an answer to the “polarization” they’ve been seeing amongst their real estate peers. 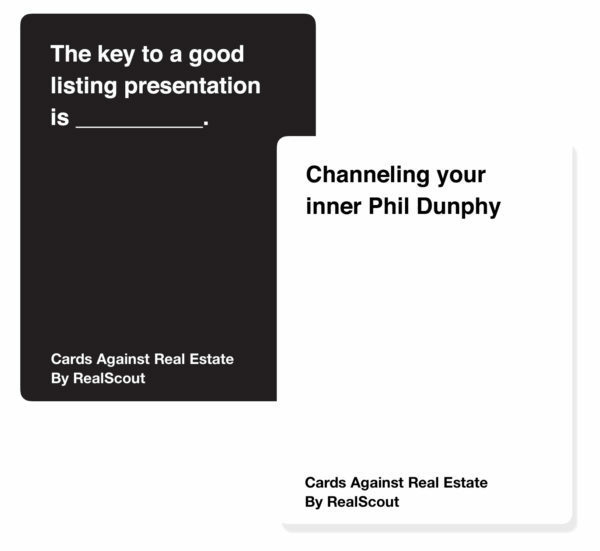 Over the course of 24 hours, the RealScout team brainstormed, designed, created and published the 84-card deck for Cards Against Real Estate, a take on the infamous party game Cards Against Humanity. Flachner says the feedback has been overwhelming — and some have asked about the next edition of the game. 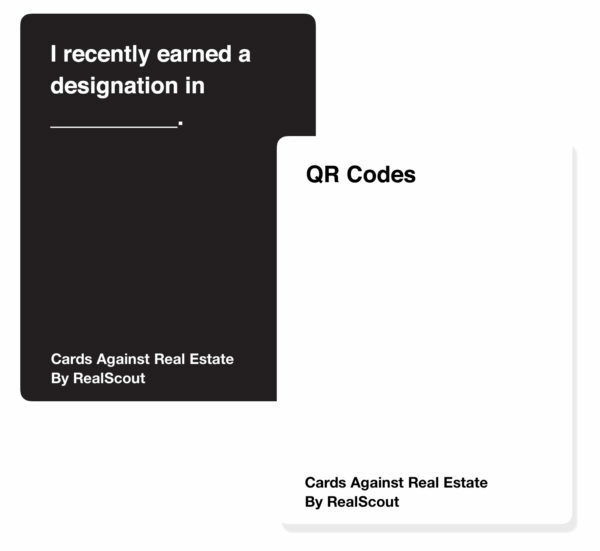 “Others have emailed us asking how they can be considered for the next, or even where they can buy Cards Against Real Estate,” he added.